"99.9" is the percentage of criminal cases which are convicted in courts in Japan. It shows the high credibility of the Japanese judicial system, but on the other hand, it also suggests there is a big pitfall. While the prosecution is almost always the only testimony which is accepted in court, there might be a dismissed truth in the other 0.1%. 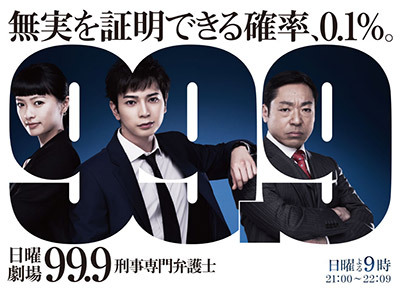 Jun Matsumoto stars as a lawyer who seeks the truth in that 0.1%. The producer disclosed "I hope this drama makes viewers feel like 'It gave me the power to try and step forward again'." The legal entertainment depicts the lawyers who challenge the irreversible criminal cases. 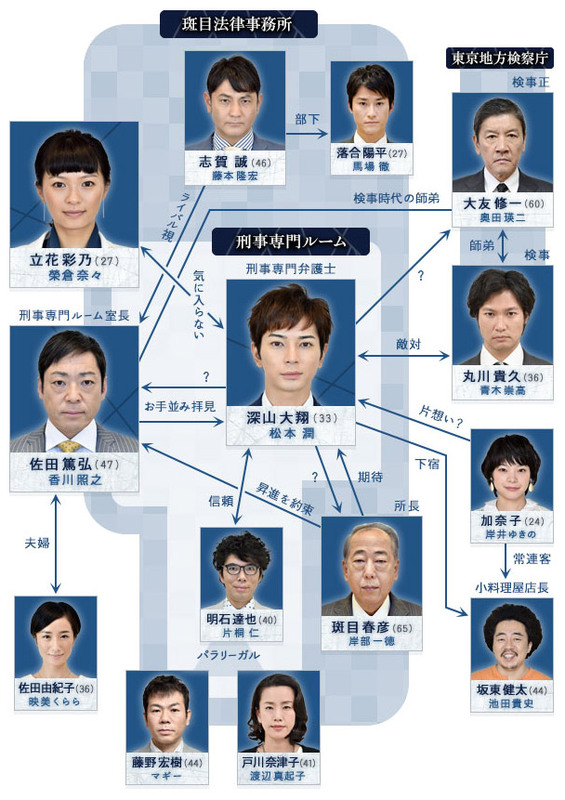 A lawyer - Miyama (Jun Matsumoto) often takes on cases which do not bring him a lot of money. One day he is headhunted by a director of Madarame Law Firm (Ittoku Kishibe), and is assigned to the Criminal Case Department. Miyama teams up with Sada (Teruyuki Kagawa) and Ayano (Nana Eikura) to work on a murder case but his unconventional approach causes a conflict between them. It is good to see Masujun again for a while! At first the title doesn't sound appealing at all, but once you watch it... you will be hooked! Barely a 7. They spent too much time trying to be cute and funny instead of serious. If they couldn't take themselves seriously, why should I? Lots of puns. I can't figure out if this is a comedy or soap opera. A sequel will be icing on the cake.